The Eleusian mysteries, the Sanctuary of Apollo, the Theatre of Dionysus, the labyrinths of Knossos, the Delphic oracle---the book leads us to such sacred sites in the ancient way of spiritual pilgrimage. "The gods have not totally vacated the holy places," says Richard Geldard. "Any 'vacating' has to do with our own lack of awareness." He brings to life the mythology that shaped the brilliance of Greek architecture and art, integrating rare historical material with the most recent archeological data. 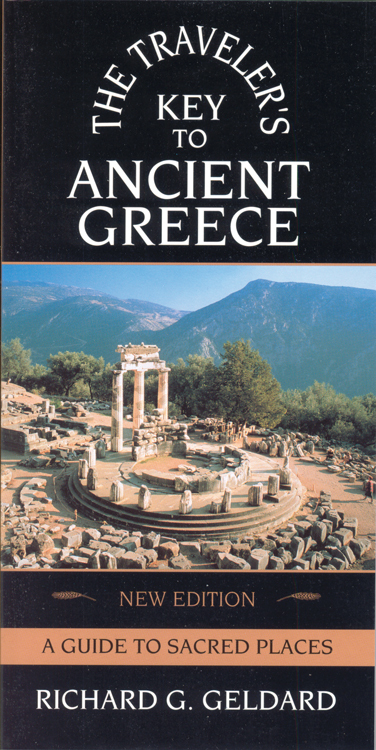 The result is a specialty guidebook comprehensive enough to be the only one you pack, with commentary on: Major and lesser sites of the palace and temple cultures; Greek drama, philosophy, art, and sculpture; Sacred geometry and architecture; Gallery collections in three major museums. Whether you're an armchair or actual traveler, Traveler's Key opens access to the fabled wisdom enjoyed by pilgrims of old and to the living mythology that still has power to transform lives.